Saturday, while driving the back road between hospital and home, I decided to take a side road off the back road. I came upon this tree …and barn. It’s a beautiful tree. So is the barn. Both are old. Neither seem to have a lot of purpose – at least not according to how we typically define purpose. Neither are in a good spot. They have to be farmed around. It’s more work. 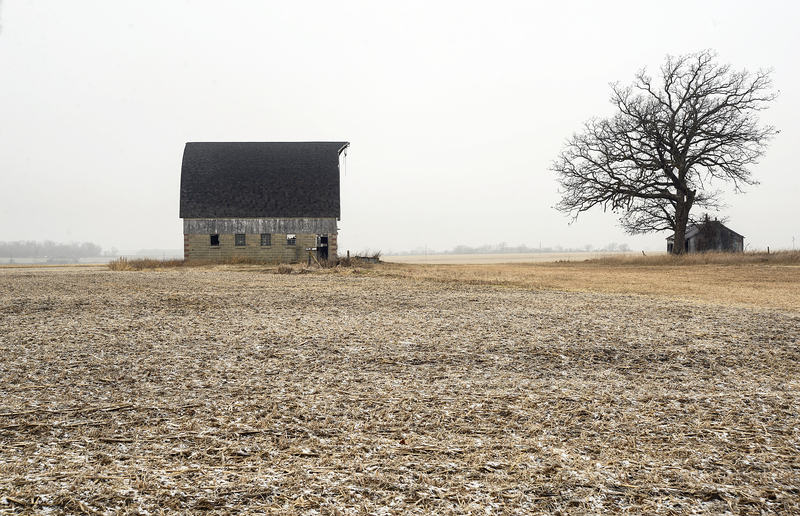 Yet of all the farms I drove by, this is the one I stopped to photograph until my fingers were numb from the cold. Why? The beauty – the composition. The stories. The history they could tell if they could. The beauty in the weathering. The enjoyment of seeing how a 100 year old oak that has withstood 100 winters and 100 storms has been shaped. Regardless, there will come a point in time when the barn will no longer stand. There will come a point in time when the tree will no longer live. How does one know that point? How does one know when its time to stop shingling the roof, painting the wood, fixing the windows, trimming the branches? When do we let it go? When is not painting wrong? Enjoy the beauty before it’s gone.